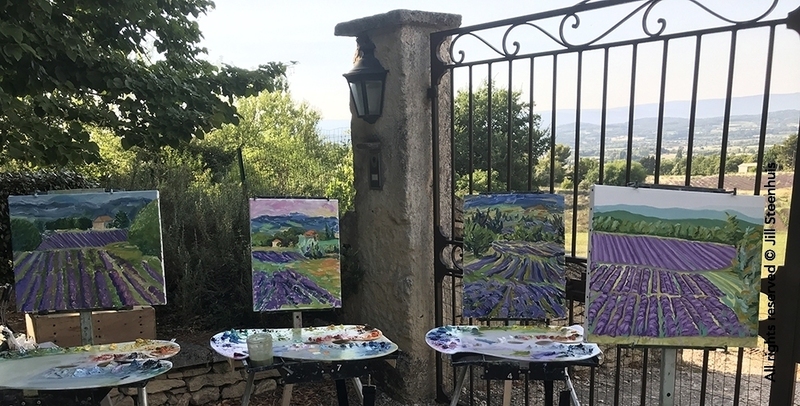 SWEET LAVENDER DREAMS — In the heat of July the lavender blooms, releasing the scent that has become the signature of Provence. Around every hill town and village, landscapes are swathed in rows and rows of purple fields. The dry dusty ground peeks through neat lines of lavender plants, humming with the sound of bees and gently waving with the summer breeze. Lavender has been cultivated in the Mediterranean region for at least 2500 years, after being imported from Persia. It thrives in the dry, sunny, Provencal summer days. Long know for it’s medicinal qualities, Lavender, or Lavandula, gets it’s name from the Latin lavare, meaning to wash. 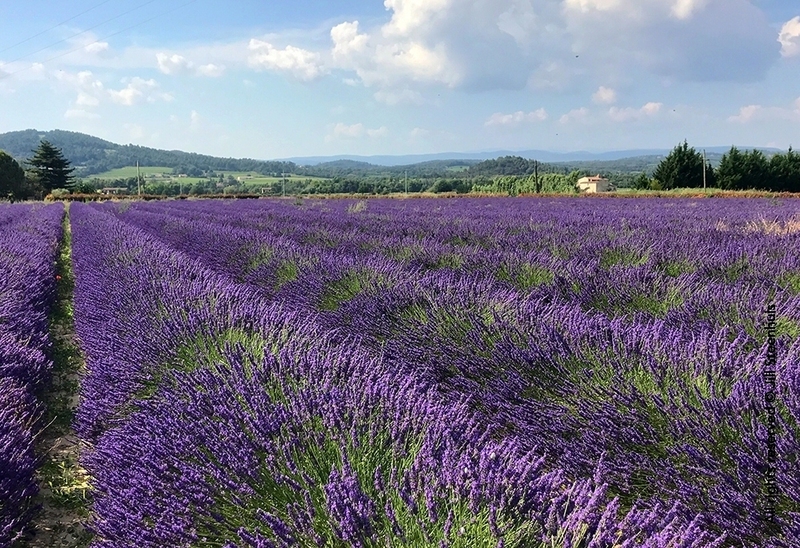 The oils from lavender blossoms are used for cleaning and disinfecting products, perfume, insect repellent, aromatherapy, healing sunburns and insect bites and treating migraines. Dried lavender is also useful as a sleep aid, for keeping moths out of closets, and for freshening up the linen cabinet. 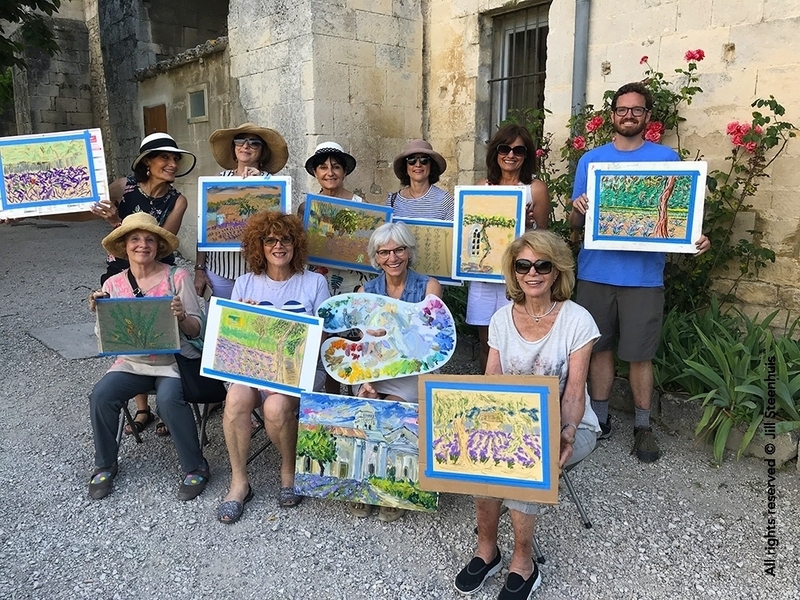 Every summer Jill takes her July workshop as well as private students to paint the lavender fields that surround Aix. For many people, just seeing the fields in person is a dream come true. 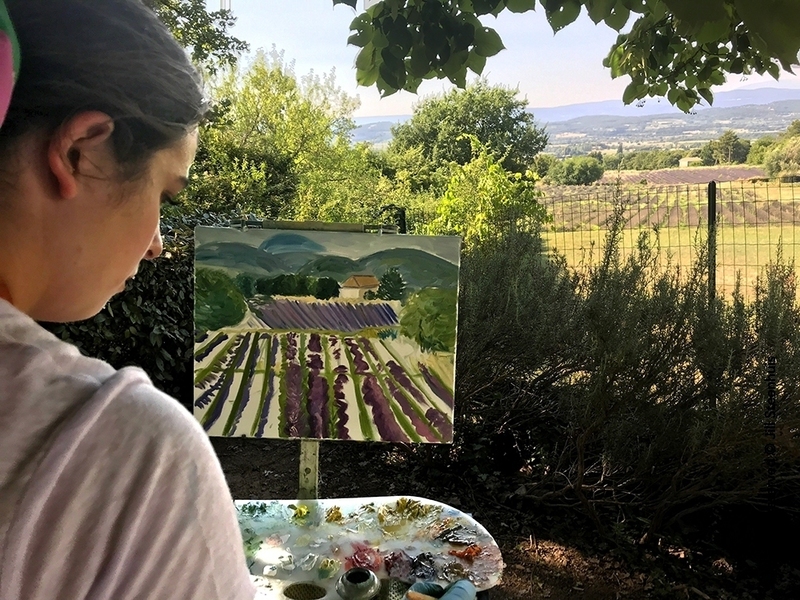 Experiencing the beauty of the landscape and portraying that on canvas is a magical experience that stays with you for a lifetime. 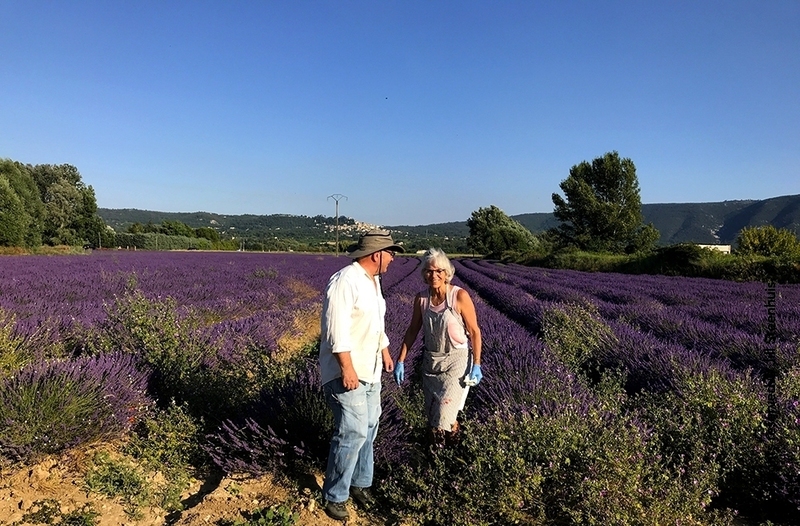 Do you want to experience summertime in Provence? Click here to see upcoming workshop dates and registration info. It’s time to follow your dreams!